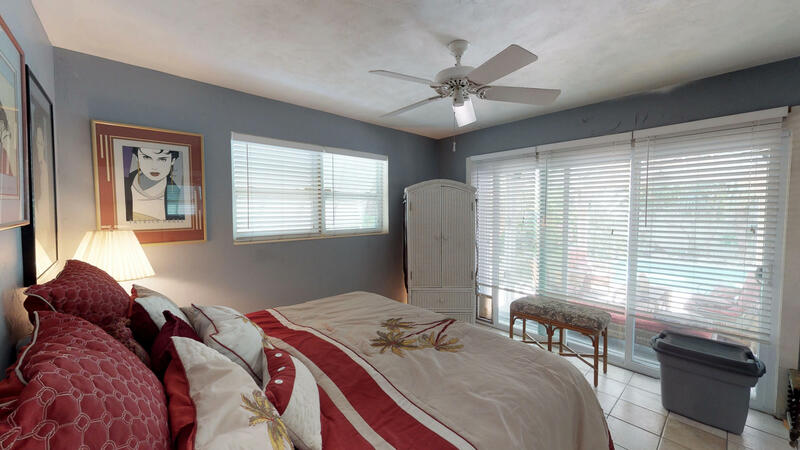 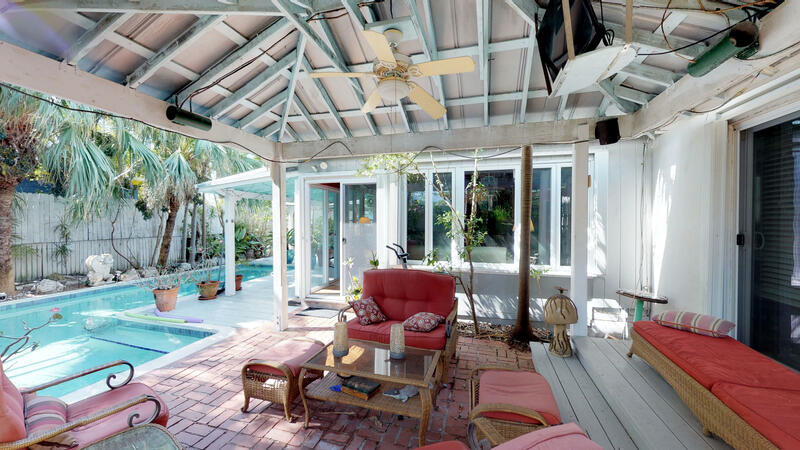 This one-level Key West pool home on a large lot is centrally located in Mid Town Key West. 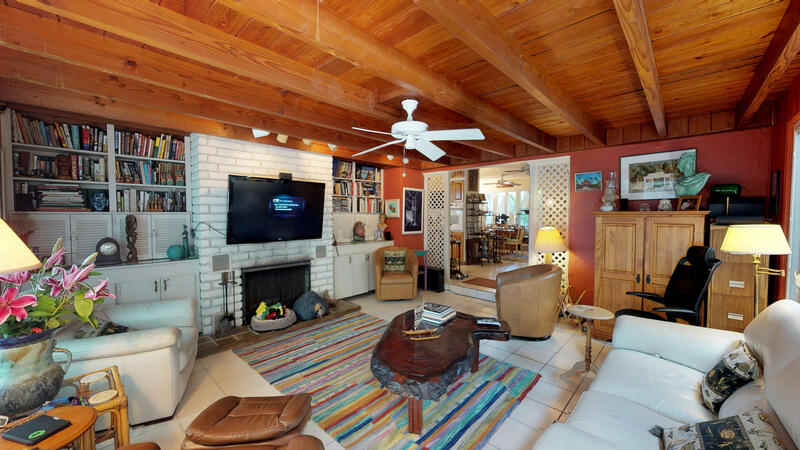 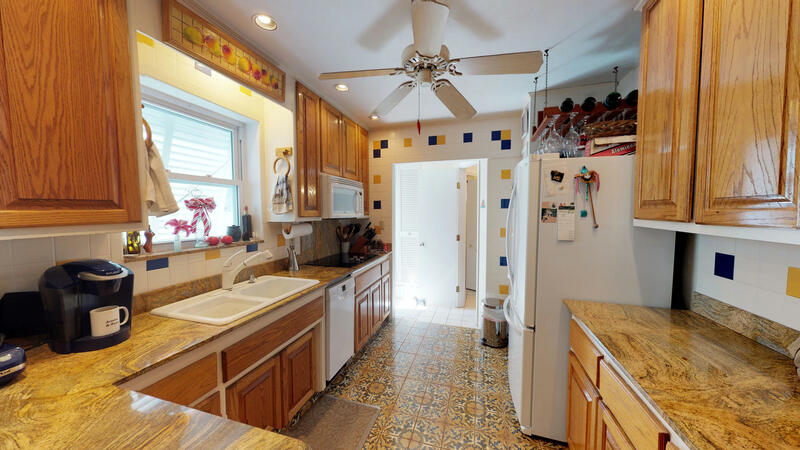 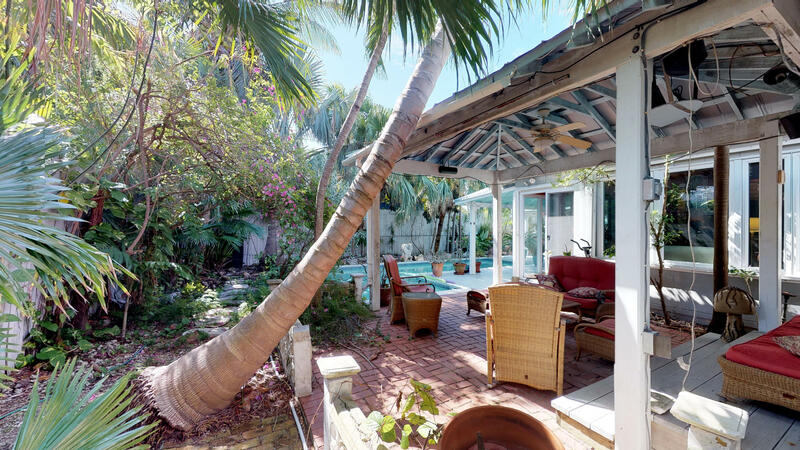 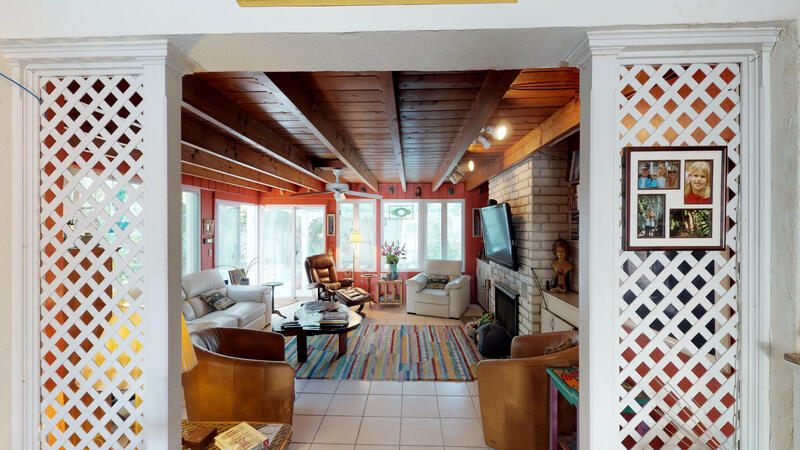 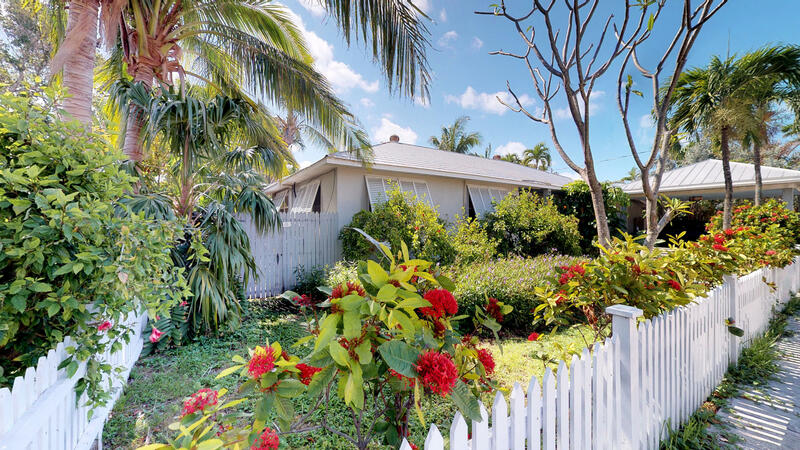 The 4 bedroom/2 bath home is owned by one of Key West's most famous artists. 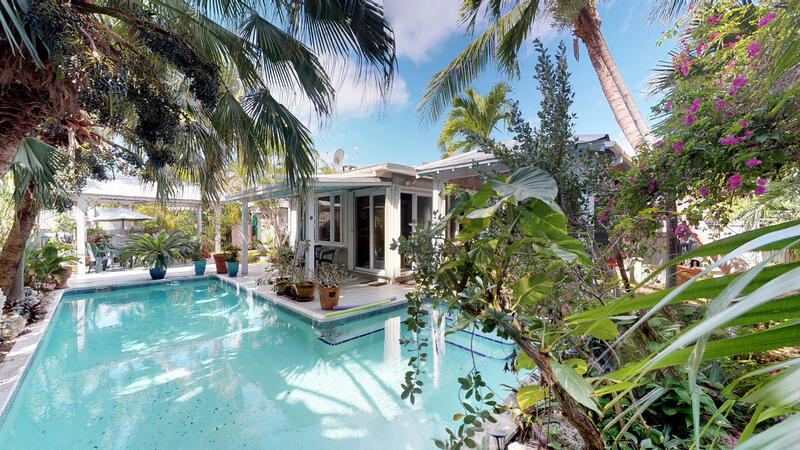 7500 sq feet of real estate offers multiple outdoor work spaces complete with a machine shop for metal sculpting and a very large L-shaped pool. 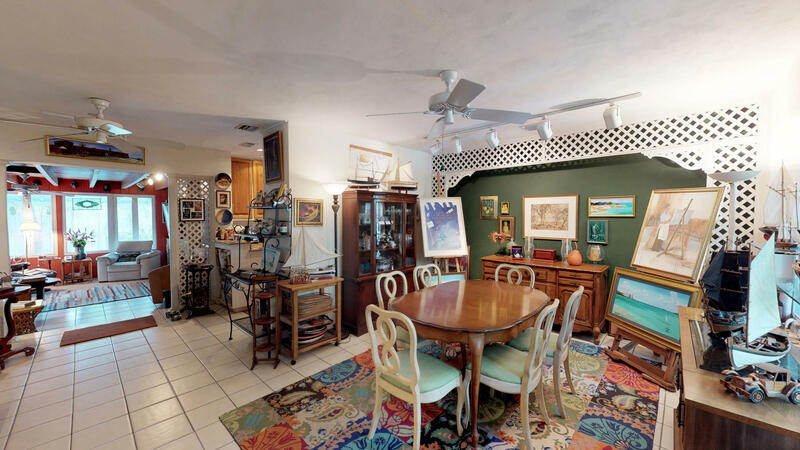 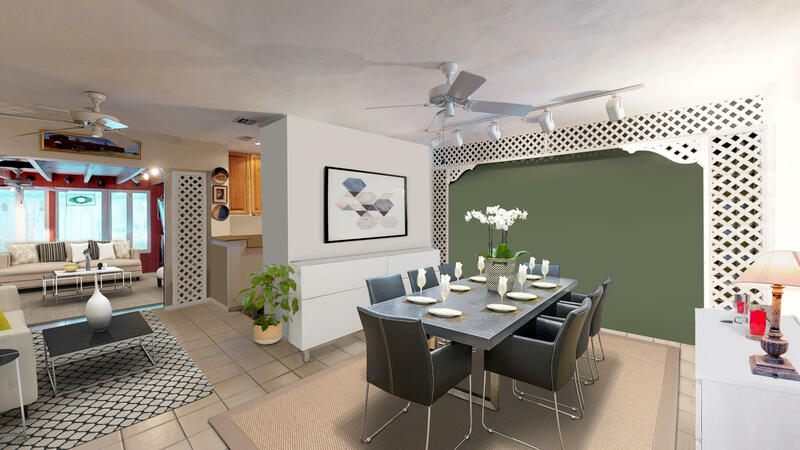 The dining area is separate from the kitchen, and the large family room has a fireplace! 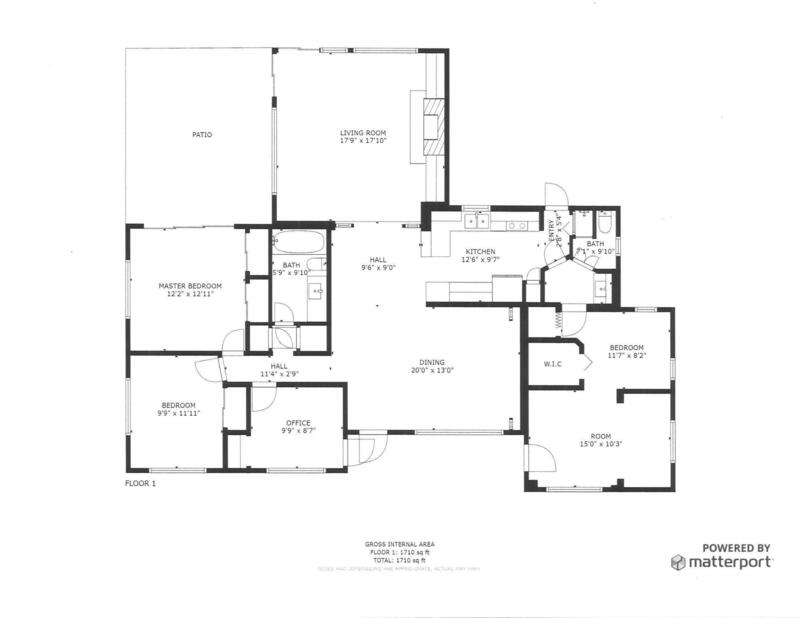 One of the 3 bedrooms is an indoor artist studio. 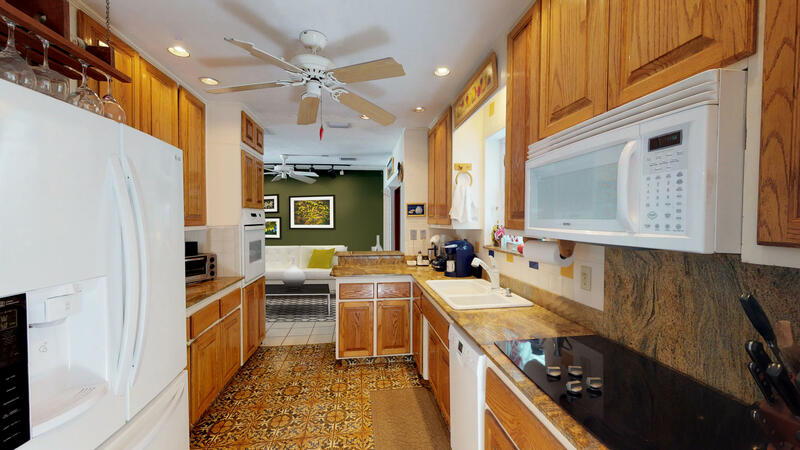 A mother-in law suite with its own private entrance is off the kitchen. 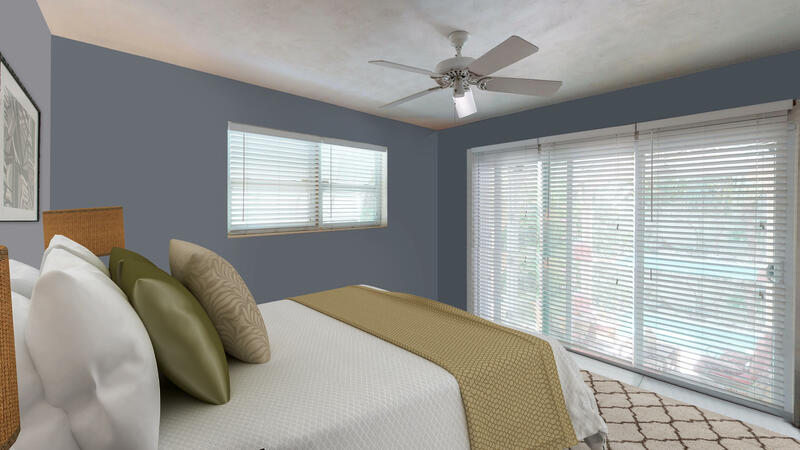 All new impact windows and doors. 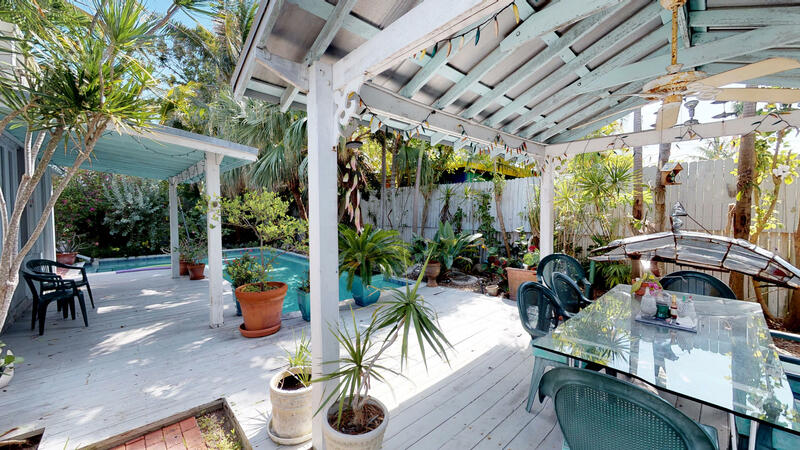 Covered off street parking.